Legendary Old West gambler and lawman turned sportswriter Bat Masterson observed, in the last column he wrote before he died, that the rich and poor get the same amount of ice in a lifetime but the rich get their ice in the summer and the poor get theirs in the winter. Masterson used ice in this instance as a metaphor but the literal truth, in Masterson’s day, was that the north had ice about any time they wanted it and the sultry south had precious little of it in the good ol’ summertime. Ships laden with ice that had been sawed from northern ponds and lakes the previous winter visited the Texas coast in its early days of statehood but most of Texas never saw so much as a single cube of the stuff. When railroads came to Texas in the early 1870s, the northern ice was packed in sawdust-insulated cars and shipped to a hot and thirsty South, bringing that cool commodity to communities far from the coast. We don’t think of ice as an agricultural crop but in those days the ice crop was almost as important to the economy of the northern states as grain. Even so, supplies in Texas rarely lasted past mid-July. Those fortunate few with the ways and means to build their own icehouses did just that and shipped in their own private supplies of ice, which makes us realize that Bat Masterson was probably more literally correct than we’re giving him credit for. When the Civil War stopped shipments from the North, one of the main complaints in Texas was the lack of ice, which led to Texas pioneering artificial ice making and refrigeration. An ice-making machine developed in France made it through the Union blockade and was quickly installed in San Antonio. The icehouse and the icebox weren’t far behind. 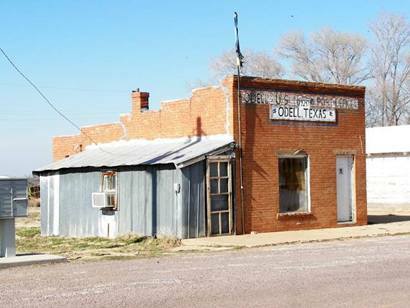 Glance at brief histories of Texas communities where business from a given year are listed and you notice how many towns included an icehouse right along with the churches, stores, post offices and cotton gins. 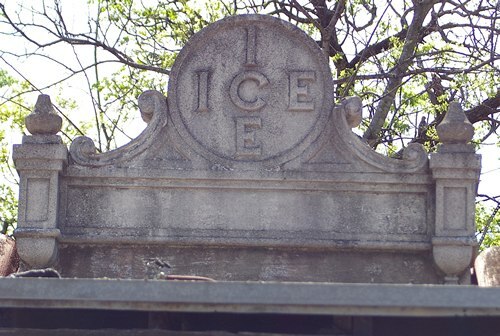 In their time, the icehouse served not only as a purveyor of frozen water but also as a sort of community center and a convenience store, long before the term was invented. One of the world’s best known convenience store chains, 7-11, owned by the Southland Corporation, was originally known as the Consumers Ice Company and later as the Southland Ice Company. Enterprising icehouse operators realized that people might buy a cold beer or soda pop if such items were put on ice and sold. Milk, too. And butter. And why not have the baker drop off some bread while he’s making his rounds? It wasn’t long before that enterprising icehouse operator found he was selling a lot more groceries than ice. At home, before the advent of the modern refrigerator, people used iceboxes. The old iceboxes, which people didn’t seem to miss once they were replaced by refrigerators, had hollow walls lined with tin or zinc. They were packed with insulation like cork, sawdust, straw or seaweed. A large block of ice was stored in an area near the top of the box, allowing cool air to circulate to otherwise perishable items – milk, butter and the like – in the lower compartments. Water from the melting ice had to be drained or emptied every day. When the ice was all gone, it was time for another trip to the icehouse, or it was delivered by an iceman. As early as the 1920s, the number of Texas icehouses began to decline as more homes got electricity and more refrigerators were sold, but Texas still had more iceboxes than refrigerators in the 1940s. By 1950, close to 90 percent of Texas families had some kind of refrigeration, and that fact quickly made the community icehouse and the family iceboxes relics from the past, relegated to long ago census counts. The old icehouses still dot the Texas landscape. Some have been abandoned, shells of a once-thriving business, but others have been converted into various enterprises and many of them specialize in beer. A new generation of Texans is more inclined to think of the icehouse as a place to grab a cold beer which, if you think about it, isn’t that different from the function the icehouse served in its heyday. The day of the icehouse and the ice box has come and gone and won't be coming back. We don't sit on our porches in front of a block of ice to get cool anymore. Come to think of it, we don't sit outside on our porches much at all anymore. Mostly we go inside and turn on another marvel of the modern world – the air conditioner.